2. POSTGRADUATE FELLOWSHIP COURSE IN NEONATOLOGY ! 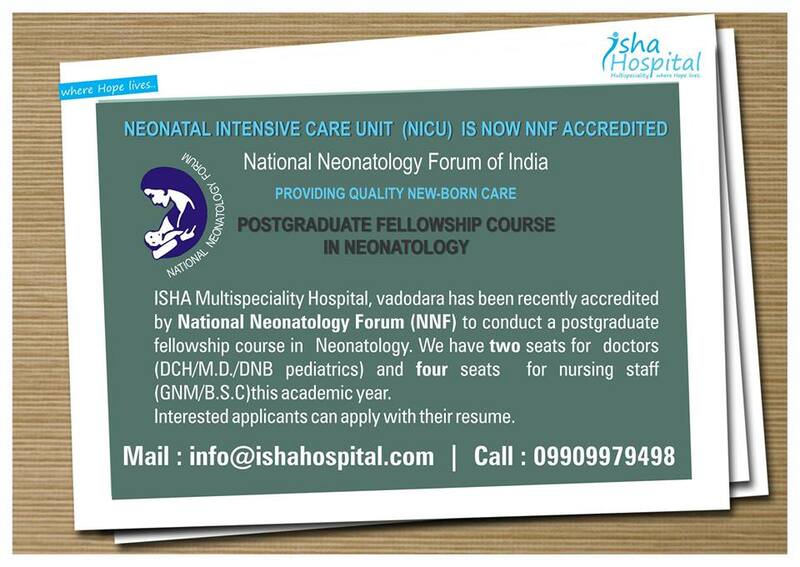 Isha Multispeciality Hospital, vadodara has been recently accredited by National Neonatology Forum (NNF) to conduct a postgraduate fellowship course in Neonatology. We have two seats for doctors (DCH/M.D./DNB pediatrics) and four seats for nursing staff (GNM/B.S.C) this academic year.